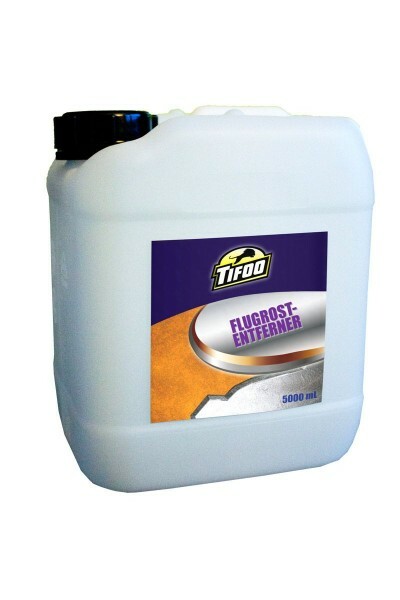 Product information "Flash Rust Remover"
Tifoo Flash Rust Remover - the highly efficient rust remover. With the Tifoo Rust Remover, flash rust will be a thing of the past. Please note: unlike our Tifoo Rust converter, the rust is not converted, but completely removed. The ideal product for rust removal in exterior and interior spaces! Easy to use, practical and highly efficient. First loosens the flash rust and removes corrosion without any problems. Please only use as immersion bath - the rust removal already works after a short exposure time in the bath. Suitable for every kind of iron objects, steel of every category and castings. Whether it's rims, brakes, pump components or garden ornaments - the Tifoo Rust Remover is perfect for you car, bike, boat and tools. Please check out our entire offer in the domain of metal treatment like our rust converter or our quick bluing. 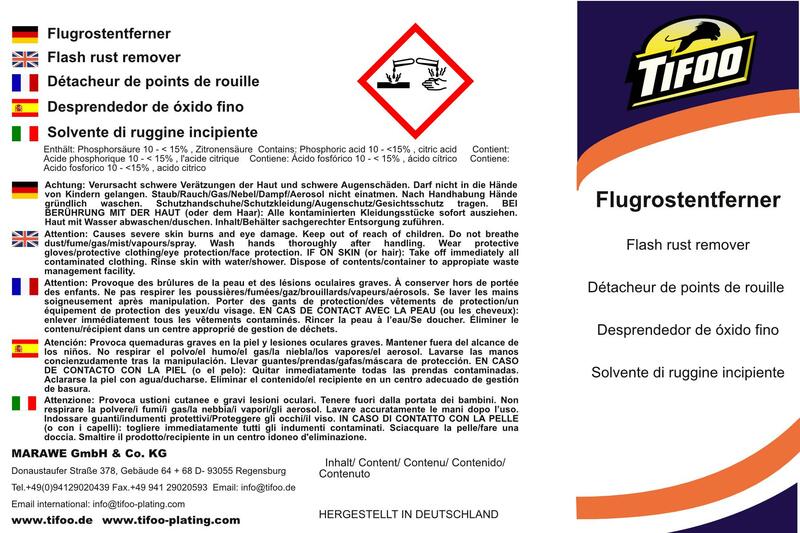 You will find instruction for right application of the Tifoo Flash Rust Remover on our homepage. Related links to "Flash Rust Remover"
Instruction manual for Tifoo Flash Rust Remover as PDF file. Customer evaluation for "Flash Rust Remover"